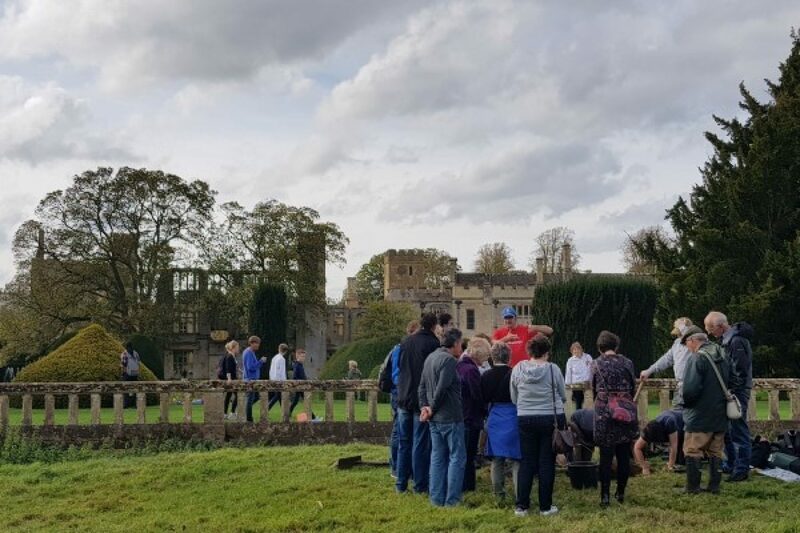 A team of archaeologists have begun the process of uncovering the remains of a long-lost Tudor Garden here at Sudeley Castle. Five exploratory pits were dug in a field immediately next to the castle which is usually used to graze horses. Initial findings over the weekend included fragments of post-medieval pottery, masonry and animal bones. These findings are consistent with garden archaeology, and a mound in the middle of the field, which was thought to be a Tudor banqueting house, has now been identified as a consolidated platform built to house a temporary structure on top. This is similar to other temporary gardens and features of the period associated with Elizabeth I’s progress around the country celebrating the defeat of the Spanish Armada. It is thought to be the most significant archaeological investigation on the estate since the discovery of Roman villas in Victorian times. 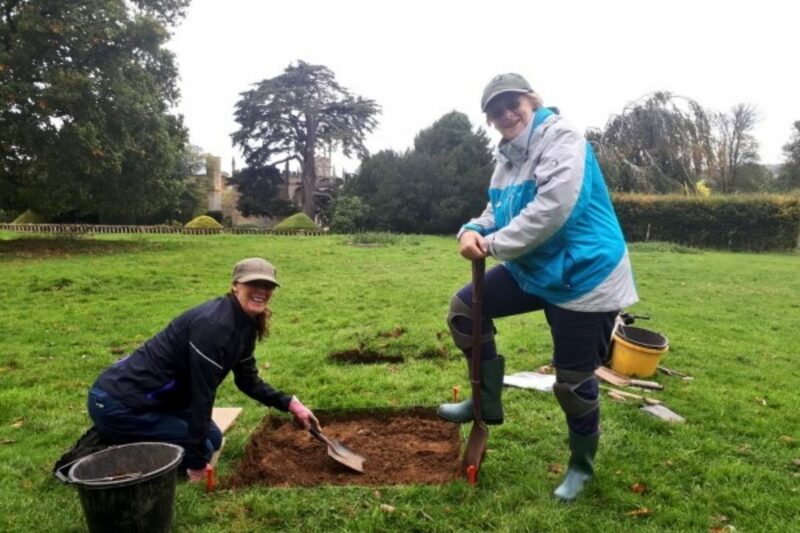 A team of archaeologists from social enterprise company, DigVentures, carried out the dig, and best-selling historical novelist, Dr Philippa Gregory, also attended over the weekend. Anyone interest in joining next year’s larger, crowdfunded excavation can register their interest by joining DigVenture’s email list at www.digventures.com.